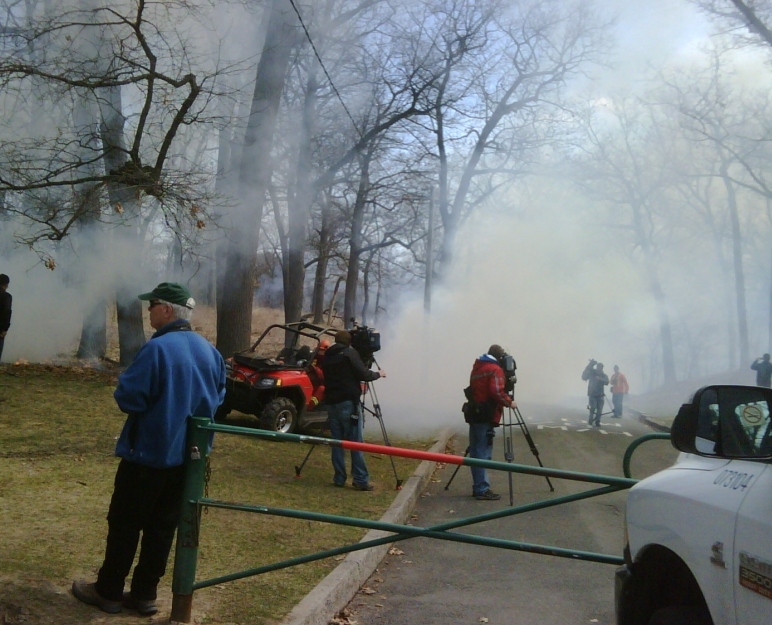 If you noticed the smoke coming from the west end on Thursday then you saw the prescribed burn done here in High Park. Almost every spring the Black Oak Savannah gets a small, controlled dose of forest fire to keep it healthy and help it regenerate. The Black Oak Savannah is a rare type of habitat, a small example of which can be found here in the Park. Traditionally this type of habitat would have small forest fires sweep through every year. Among other things the fire would help break down seed coats that require high heat to break open so the plants can grow. 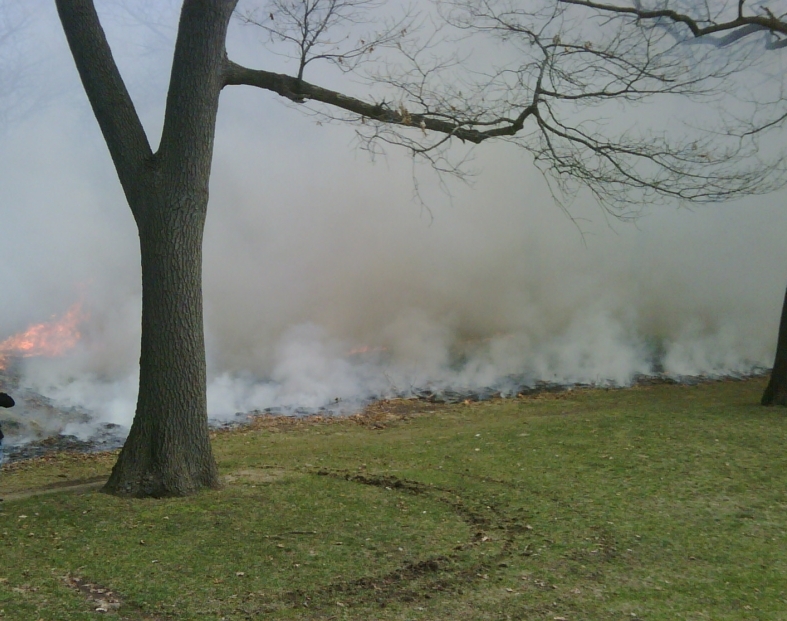 These days we rarely have a forest fire in the middle of the city (fortunately) so our Forestry Staff, Fire Department and Police have to work together to help nature along. 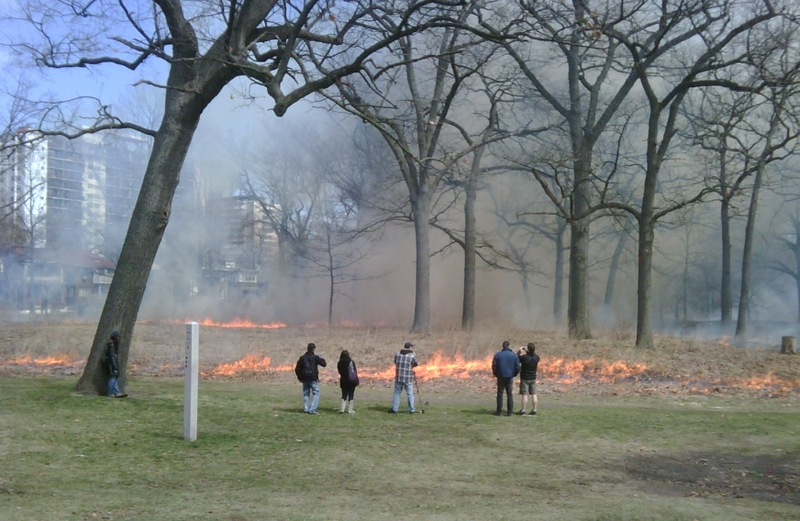 You should also check out the “Prescribed Burn” walks hosted by the High Park Nature Centre. You can make seed balls and help the native plants grow here in the park! Now if I can just get the smell of campfire out of the office!